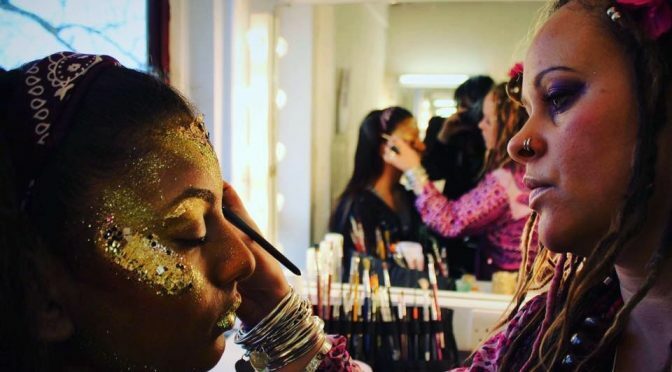 This is your complete destination for children and adults face painting, body painting, henna body art, glitter tattoos, feather lashes, diamond accents, wild headdresses and organic costumes. Children’s parties, hen dos, wild make up, weddings, Bar & Bat Mitzvahs, shop openings, promotions, photo shoots, human statues, the list goes on! We have a range of amazing artists to cover any event small or large. All artists are professional and use professional materials. Please be inspired by this website and find more on our Facebook page here, please like to keep up with all our news! what has Caroline been up to? Something for The Evening Madam? Follow Tropicalbird.co.uk to keep in the loop!